With the recent launch of MyMagic+, Golden Oak residents can experience an exciting new way to make the most of living the magic. 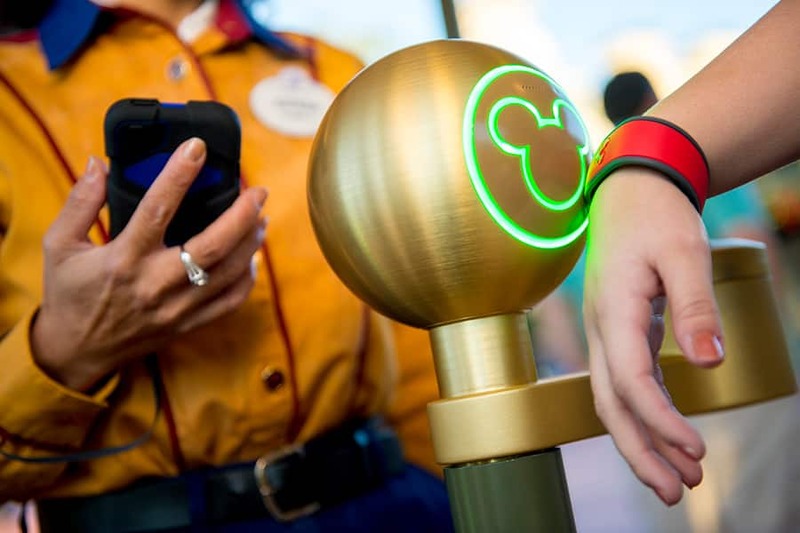 MyMagic+ gives Guests the unprecedented ability to connect nearly all aspects of their Walt Disney World® Resort experience. First, while planning their park visits and activities, and then while on the go. Given how often Golden Oak residents head to the parks, they are delighted to arrange some must-do theme park experiences for their families and guests with FastPass+ service. By creating an account on the My Disney Experience website or app for smartphone and tablet, they can link their tickets or passes and reserve FastPass+ experiences. After his own "test drive" with MyMagic+, one resident said: "The My Disney Experience website was very user-friendly. We had planned to go to Epcot on Thursday, so we used FastPass+ service and also made a dining reservation. Then the weather changed, so we decided to reschedule... three times!" Making MyMagic+ as convenient as it is "wow" are MagicBands, which some residents have personalized with their favorite colors. One resident who adores Minnie decked out her MagicBand with special character-themed "BandIt" accessories available for purchase in the parks. All it takes is a touch of a MagicBand to enter a Disney Park and enjoy entry to the FastPass+ queue. "Wanted to let you know that we finally got to Epcot yesterday to try out our MagicBands," our "test-drive" resident noted. "They worked beautifully! No problem getting into the park, nor at our three FastPass+ locations. It was a beautiful day to be in the parks, made even better with the FastPass+ experience." *Valid Theme Park admission and online registration required. FastPass+ experiences, the number of selections you can make, and available arrival windows are limited. **MagicBands are complimentary to Guests staying at Walt Disney World ® Resort hotels and Passholders. Guests not staying at a Walt Disney World® Resort hotel may purchase a MagicBand at a Walt Disney World® merchandise location.